So the weather in the UK & Ireland still isn’t quite showing the spring season it should (as I write this it’s snowing in Bangor, Northern Ireland!) so you can be forgiven if you’re starting to think about a summer holiday where the weather might be a bit more pleasant to explore all that the outdoors has to offer! Luckily for you, ActivityBreaks.com is here to help so we’ve put together a list of our top 5 recommendations for a multi-activity holiday that you and your family will never forget. While the Italian Dolomites might be best known at this time of year for their wonderful snow coverage, in summer the resort transforms and provides a wonderful backdrop for your adventure holiday. Our Italian multi-activity holiday is definitely not for the faint-hearted as you’ll be given the opportunity to experience the exciting adventure that is canyoning! This involves making your way down, you guessed it, a canyon – with rock climbing, jumping, abseiling and swimming. Don’t worry though this isn’t your only activity during your break, so your heart rate can relax (just a little!) when you go rafting! The emerald green waters of the Soca River in Slovenia takes your multi-activity holiday to the resort of Bled at the foot of the Julian Alps where you’ll try white water rafting, kayaking and canyoning over 3 nights. During this adventure holiday, you’ll stay in 3* Chalet Reka Hisa which provides a friendly atmosphere with awesome hosts Clive and Myrna! If you’re looking for a longer break away from the monotony of work and school for the whole family, then look no further than our 7-night Croatian multi-activity holiday. 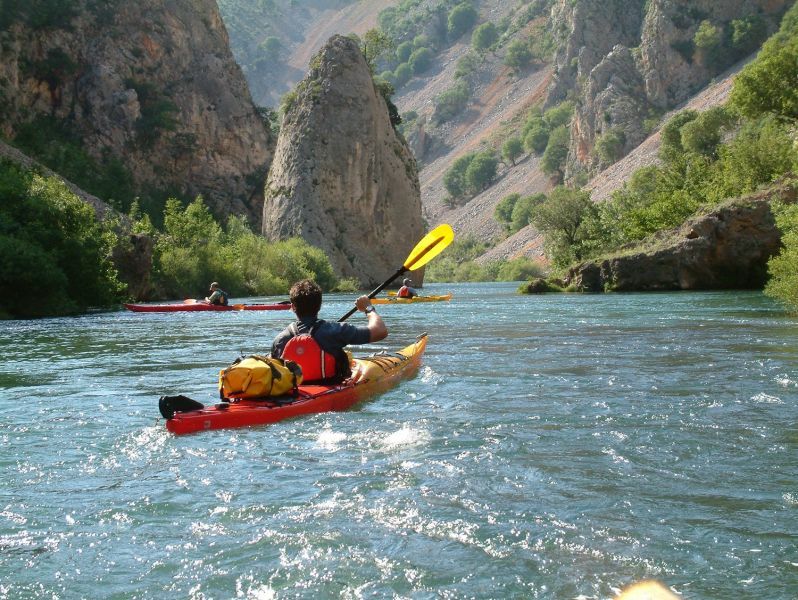 It’s recommended that you’ve previously been kayaking as you’ll be exploring the Mreznica River from a kayak or canoe. You’ll also go hiking, cycling and rafting. Hot summer weather not a deciding factor in where you’re planning your next adventure for? Why not check out the beautiful land of Iceland with our Reykjavik adventure sightseeing tour. This will combine a multi-activity adventure with a city break where you’ll see some of the top sights that has tourists flocking in their numbers to the country. You’ll explore the famous Golden Circle in super jeep and snowmobile, and then go snorkelling in the awesome Silfra waters! Returning to the warm weather expected in Croatia this summer, our 7-night Brac Island multi-activity holiday mixes adventurous activities with culture from local wine tasting and a Blaca heritage tour. Staying in a 4* hotel including return Split Airport transfers and ferry, you’ll also experience mountain biking, white water rafting and sea kayaking. For the full list of our activity holidays, click here, or contact us any time.